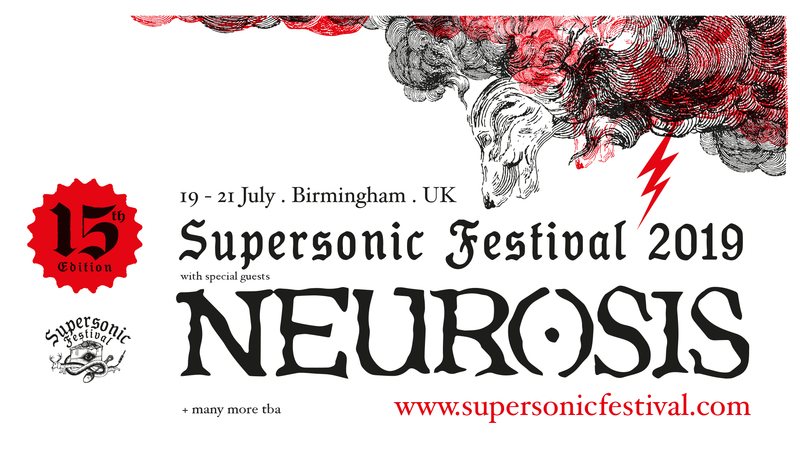 Supersonic Festival are immensely proud to announce iconic pioneers of heavy music, Neurosis as their headliners for 2019- Supersonic’s 15th edition. WEEKEND TICKETS ON SALE NOW! We unload this and much more in our latest podcast, with Anna Palmer and Alice Tomlinson discussing the many ecstatic events on Supersonic’s horizon. These include our imminent end of year party at Centrala (Hey Collosus/ Youth Man/ Matters and Yama Warashi), The Messthetics show at Hare and Hounds as well as the upcoming OUTLANDS tour ‘Ecstatic Material’, a brand new collaboration between electronic musician Beatrice Dillon and visual artist Keith Harrison. As champions of new music we also share some reflections on Tusk Festival 2018, bringing you some exciting sounds that have got us going these past couple of months.